It made me stop and think, what actually happened that was good this year and what happened that was not so good? I realised there was more good than bad (writing my 10 things to be happy and positive posts definitely helped with that), but here was a spiral of sadness and unhappy thoughts that seemed to stay with me at the end of last year and I think it is important to talk about them and then move on. I started off 2018 by heading to Edinburgh to see my bestie and saw Shrek the Musical and The Greatest Showman in the same week. It was a week of humming the tunes and singing them in the shower. I dreamed about the possibility of working on films as wonderful as ‘The Greatest Showman’ one day. I felt inspired, happy and full of life; ready to start the new term at the international school I was working at. I knew this was going to be the year in which I was going be leaving so I was ready for whatever the final two terms had to throw at me and looking forward to whatever my next step would be. In my first full weekend off in 2018, I booked a few nights in Innsbruck and headed to the mountains. I stayed in a gorgeous little room that was just what I needed and the food was to die for! As much as I loved eating with the students, it was nice to just sit quietly, drink a beer and read a book. I spent my time in Innsbruck exploring the town, heading up the mountain, soaking in the sun (it was boiling at the top!) and really relaxing. Over Easter I went back to Scotland and had a summer at home before saying Goodbye to my childhood home. I was pretty sad when I left but it was mixed bag of remembering the good memories and the not so good ones. I haven’t lived there full time since I was 17 so I suddenly felt the urge to go on the swing and run in the fields all over again. I think this may have been where a bit of my sadness started this year although I can’t be entirely sure. Walking away knowing I will not be living there anymore was tough. I don’t think about it so much now though as I feel very comfortable in calling Austria ‘home’. The warm weather came after the Easter break and I spent a lot of time sitting in parks, doing exercise classes outside, doing yoga, practicing for the school dance festival and even went to see the Game of Thrones live concert which was just incredible. I did start to get the feeling of this being my last summer living in Vienna, which does sound strange considering I only lived there for two years, but if you really start to enjoy living in a place it feels strange to leave again. We had a wonderful trip to Hallstatt with the girls for a few days. We visited the ice caves, the salt mines and went to the five fingers viewing platforms which was just ace! I definitely see why it is such a popular tourist destination and I am glad I went when it was ‘slightly’ quieter. Then our eldest girls graduated from high school and I was so proud. I basically cried all day and my videos were useless because my hand was shaking so much. It was a bit of a wet day but they made the ceremony special all the same. About a month later, after lots of fun activities with the girls including; sailing on the Danube, a water fight outside and a big sleepover and movie in the lounge, it was time for them to start packing up to leave too. The final day of school was once again a day of tears of pride and sadness. I know I will go back and visit but I have watched and supported these girls through their highs and lows and whilst I was very ready to leave, it felt strange to know I wasn’t going to see them every day. I packed up my room too, realised I had much more stuff than I thought I did and my parents drove me across to Carinthia where they now live. I began to have a wonderful summer at my parents house. It was sunny, we went to the local pool and did lots of walks. Unfortunately this is when things started to go downhill a bit in terms of my mental health. I have written out many paragraphs about what actually ‘went wrong’ but I have found recently that I am less inclined to post all the details. Whilst I think it is important to talk about and I want to make sure that even though I often wrote about the ‘happy and positive’ moments, that this was not always the case and behind-the-scenes I was really, really unhappy. Without going into the nitty-gritty of what happened, I will say that I think it came about because I left a job with responsibility and purpose and then unfortunately things did not turn out the way I wanted them to be with the plans I had hoped for and I ended up without any responsibility or purpose. Additional plans/jobs I also tried to make and apply for also seemed to fall through and my self-confidence levels were falling rapidly. I was also living in a small village, not speaking the language and whilst I love my parents dearly it was very hard to suddenly feel like a ‘child’ after having been ‘the grown-up’ for the last two years. I also did not have anyone my age around me to socialise with as my friends were either in Scotland or abroad. All this combined meant that I fell into a quite a deep depression, more so than I have ever felt before. I won’t say much more on this matter now as I am starting to move on from it. I have touched upon it now as a way of informing those who read this blog that things are not always what they seem when reading the words of a screen. There were some positive moments during that period however. I spent my 24th birthday in Venice, Italy with my parents which was wonderful. I told myself that I wasn’t taking my computer or thinking about plans for the future for the whole of the weekend and it was joyous. I have always wanted to visit Venice and it made it even more special that my Mum and Nan paid for two hand-made Venetian masks for my birthday. After studying theatre and learning about the masks the Venetians made for the Commedia Dell’Arte performances, I was keen to see examples when we visited, but it was also amazing to have such a special souvenir too. I spent two and a half months at the end of the year in London. Some days I felt good, productive and could see a purpose. I would go swimming, write, play with Finn and explore London. The bonus of being there was that I got two weeks work experience with two different production companies. At the end of October I did a week’s work experience in the art department on the Downton Abbey movie which was great. I met some wonderful people and created some things that (may) appear on screen which is pretty cool. I also got to visit the ‘downstairs’ set at Shepperton Studios which was incredible. In November I also did a week’s work experience with Twenty Twenty productions and supported the ‘First Dates’ team and the ‘House Through Time’ team which was another great week. My best friend Hayley also came to visit and after not seeing her for just over 780 days it was the best thing ever to see her. I also went to HistFest and listened to a really interesting panel discussion and met the wonderful Stephen McGann from ‘Call the Midwife’ afterwards who really took the time to answer my questions and to made me passionate about wanting to work in television again. I did still feel very down and purposeless over this time, but these were great moments of of distraction. Then Angus came down to London from Glasgow and we flew back out to Austria together. I had a lovely Christmas break. I really pushed myself to get better at Skiing, did some Christmas baking (some turned out well, others not so much), loved seeing my family open their gifts on Christmas day and actually had ‘down time’ that didn’t feel like I was being lazy or unproductive. The clock striking midnight on New Year’s eve was never going to solve all my problems. I am not going to become instantly better because it is suddenly 2019 and indeed I still have had days when I’ve woken up feeling down, days I can’t watch a movie because “it reminds me I’ll never work on something as amazing as that”, or days that I shun any suggestion or advice anyone seems to offer me. Therefore, I’m not making any new year’s resolutions this year. Sometimes I find them useful, other times it feels like too much pressure, but I will try my hardest to do things that make me happy, keep my mental state feeling calm, whilst also trying to tiptoe out of my comfort zone. This month I moved (again!) to Solothurn in Switzerland where I will work as an Au Pair for a lovely family. I will take German lessons approximately twice a week so I hope to really improve my speaking abilities. I also love working with children so I know this will keep my happiness levels high. I am not thinking too much about my plans after August yet as I just want to enjoy the first seven months of the year before I start planning for the next step. I am going to keep planning and looking forward whilst determinedly enjoying and staying in the present. I will explore lots of culture and new cities and aim to meet other people my age living in the area. In previous years, I have always been about ‘self-development’ but this year is about finding comfort in my own head, figuring out what I enjoy doing without having to ‘accomplish’ anything and just learning to enjoy life a little more. 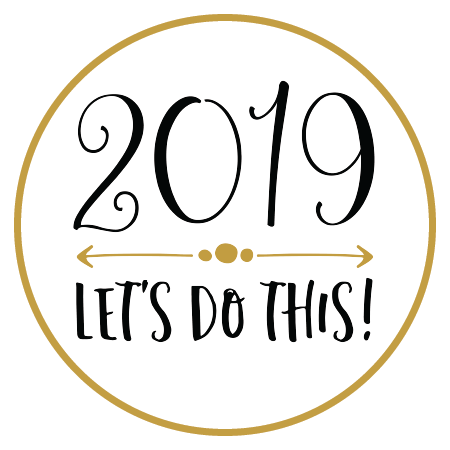 I’ve decided to split this looking back at the year/looking forward to 2019 into two separate posts, so the next blog you will see is a 2018 vs 2019 Q&A that looks at what I learnt, what inspired me and what brought me joy in 2018 vs what I aim to do, what I look forward to and what I aim to do more/less of in the new year. I didn’t want this blog to be all about the negatives, but I do want to be honest about what went on so that you can see that often everything is not all bright rays of sunshine like I have found some blogs to be. I hope with a new mindset and an increase in personal happiness, will give a new lease of life into this blog, the topics that I write about and more regular, creative posts.